At Bright Future Transitional Home, we provide emergency care for orphans and other vulnerable children. We are not an orphanage! 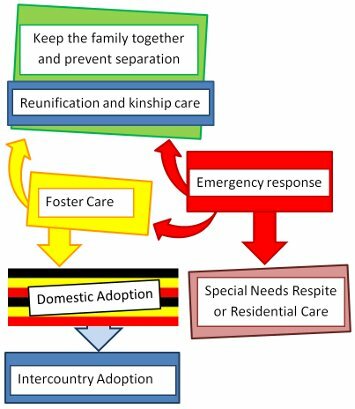 Our philosophy is to resettle the kids in their original Ugandan family instead of keeping them in institutions for the rest of their lives. We strongly believe that long-term residential care for vulnerable children in orphanages and children’s homes should be avoided. That is why we adhere to the Alternative Care Framework, set up by the Ugandan government. We are the first home in Mbarara to implement this framework and are supported by the Ugandan government. Therefore we need to abide by the rules and educate our staff on following the Alternative Care Framework.